I am so pleased you included Hell March. When I read the title of the post I was already heading to YouTube to get the link to Hell March. And then you posted it! Ah happy times being reminded of my teenage nerdish years. If you liked Bastion, you might want to explore the Final Fantasy and Chrono Trigger soundtrack. Basically anything by Nobuo Uematsu is pretty much spot on. Hell March is pretty much pure teenage testosterone and awesome for it. I dig Jessica Curry's score for Dear Esther. It's the perfect match of game (I say game, but it's more of a lyrical poem thingy) and music. This is very cool and I'll be passing the link onto my 14 year old who's big into his gaming music. Mainly Final Fantasy type material as per Su Yin Khoo's post above. It fascinates me how often Leo will play one game to the soundtrack of another. Oh, and he’ll be along presently. Something new came out overnight and he’s busy defeating it. An old game called Ascendancy (released in 1995) which revolved around building spaceships, colonising planets and defeating other races, had the most beautiful soundtrack I'd heard in a game up until then. The Heroes of Might and Magic games also have beautiful soundtracks - HOMM2's (released in 1996) music played in an ordinary CD player if you put the game disk in the CD player, and HOMM3 (released in 1999) used mp3 compression for its music files way back in pre-Napster days. Rally X was good for a while but could sure as hell get on your nerves after 15 minutes or so. I recall a group releasing a funky jazzy version of the tune and calling it "Cheeseburger"
OK now that's weirding me out. Don't be hatin', now. The Xenoblade Chronicles soundtrack goes surprisingly well with Guild Wars 2. Edit: Heck, may as well give you guys a sample before I go blow stuff up in Borderlands 2. Coincidentally, last night Module played the soundtrack of Shatter by Sidhe live in Wellington. 'Tactical cello' says the first comment on YouTube. Nice. Had to laugh, said with such a deep sense of that was sooooo long ago. Speaking of which, both Shatter and the game's soundtrack are available in the new humble bundle, not to mention Torchlight and its soundtrack by Matt Uelmen. The webcomic 3-Chord Dorks has an enduring love of game soundtracks and the bands that cover them. Apparently there are webcomics dedicated to the websites dedicated to the bands that are dedicated to performing covers of game music. I love Build That Wall - one thing that makes it lovely is that you encounter it in game in a very quiet, peaceful context, when you meet a girl singing it to herself in a glade. You'll probably whistle it to yourself for a while, and associate it with a moment of quiet in a messy world. But, when you look at the lyrics, it's actually a song that is ALL THREAT. It's an angry song about revenge, and when you realise that it's amazingly jarring. On music; by chance I heard a couple of songs performed by 660 on Nat Radio this afternoon. I am bewildered as to why they are so popular because they sounded so bloody humdrum and derivative. Am I missing something? Yes. But you are not alone. They are very popular indeed. And I do not like them at all. 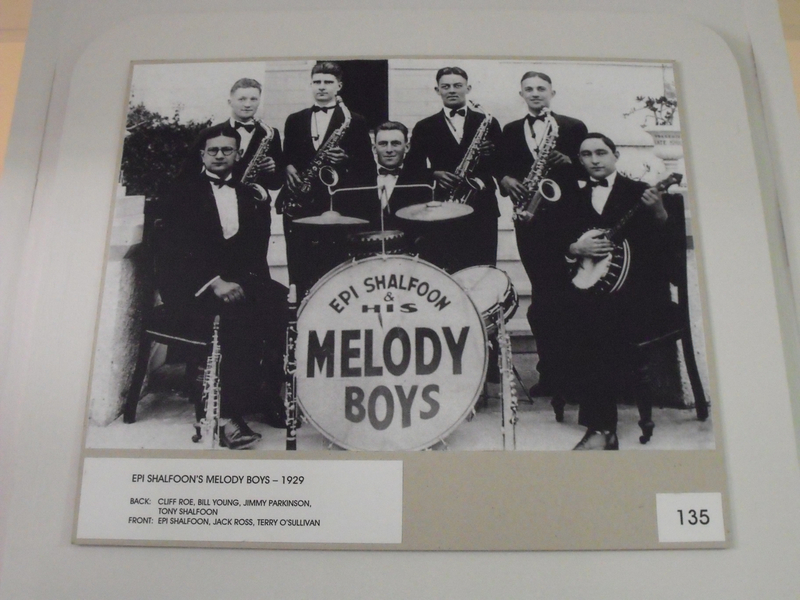 As was this group in the Opotiki District in the late 1920s--but I reckon they probably had more talent. Wasted them with the BFG 2000 in DOOM.